This week all eyes are on the beautiful Erica Lawrence Hoffman! 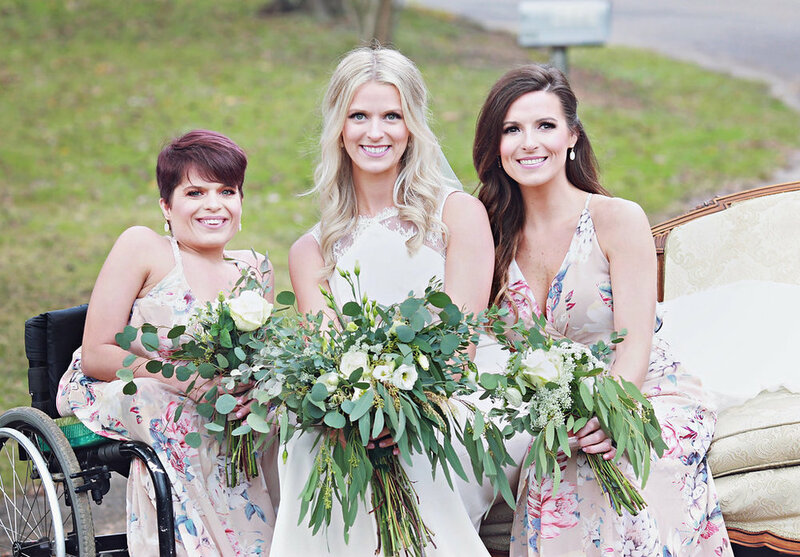 Erica and her husband, Allen, began their happily ever after on April 7, 2018 on a gorgeous Alabama day. The pair knew each other growing up, but their love story didn't begin until they ran into each other 4 years ago at the doctor's office. They reminisced on old times, then a few weeks later and much to Allen's persistence, the pair went on a first date, and the rest is history! Erica's dream dress was a Theia lace fit & flare beauty which she paired with a gorgeous beaded belt to complete her bridal look! 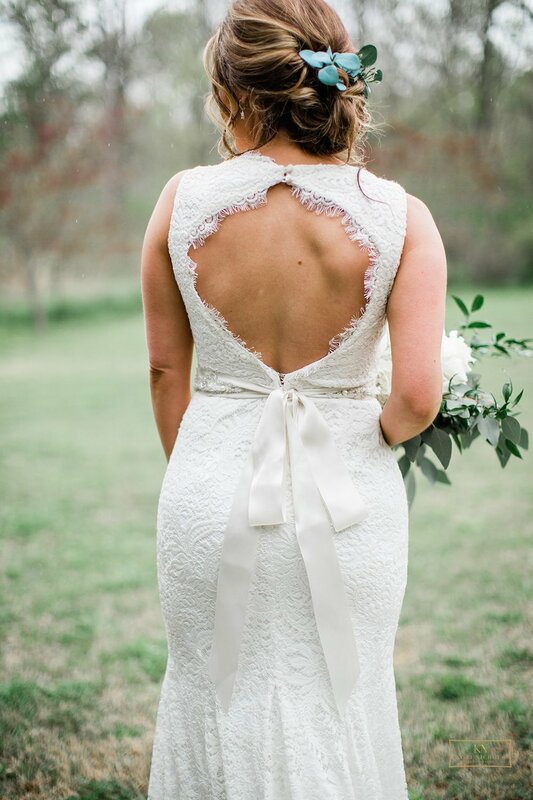 We so loved helping this sweet bride find her perfect dress!! 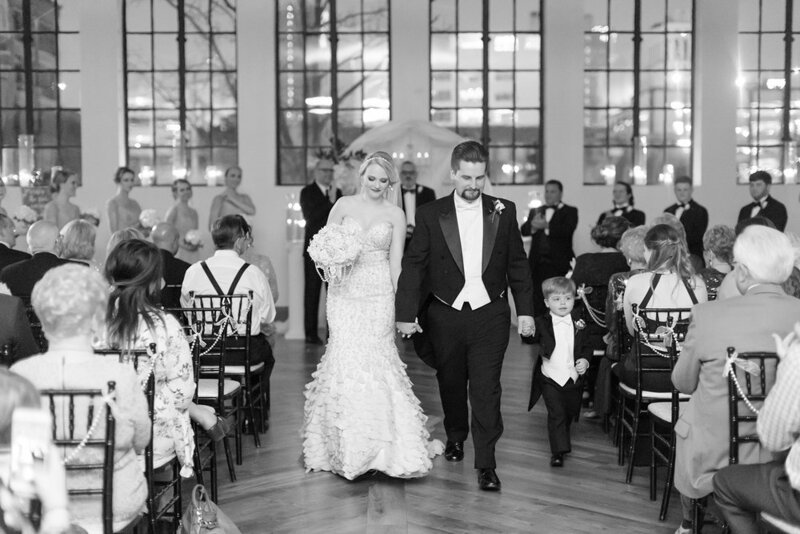 The gorgeous Haley Walker Taylor is our featured Bustle Bride, and we are over the moon! 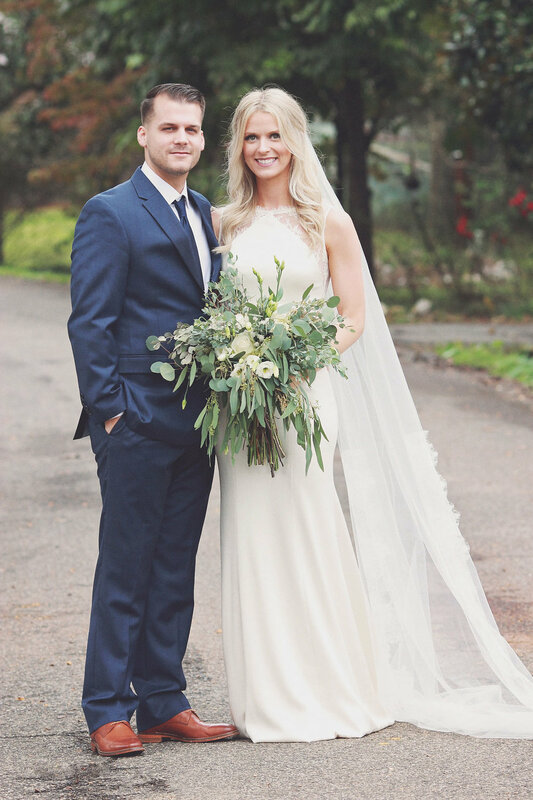 She and her husband, Dylan, became officially husband and wife on March 16, 2018. The pair met on a church serve project, and the rest is history! Haley was simply radiant in her Enaura fully beaded fit & flare gown, and we're so thankful we had the opportunity to help her find that gown of her dreams! 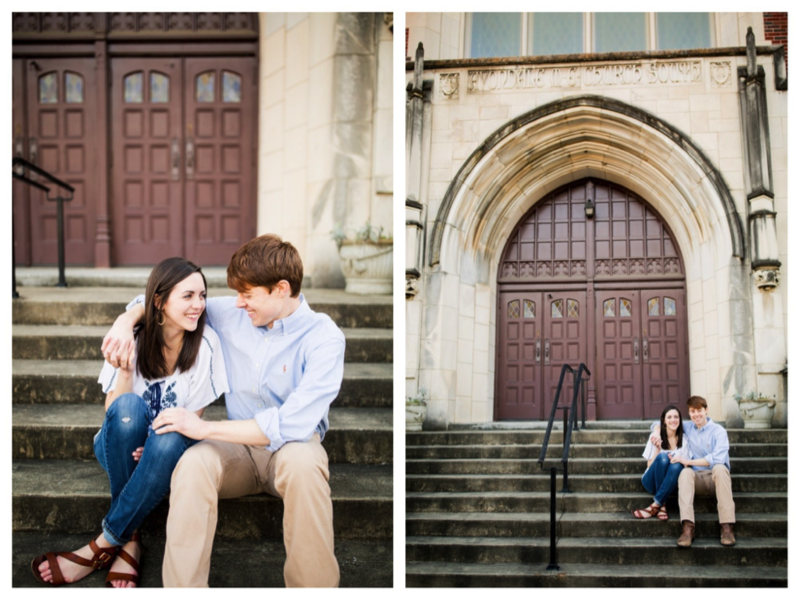 "Grant and I met our freshman year at the University of Alabama. My maid of honor and best friend found a wallet in the dorm hallway, so she reached out to that person on Facebook. The person she reached out to ended up being Grant’s roommate, so that’s where it all started! Grant and I attended many date parties together, became best friends, and finally before senior year, we started dating! 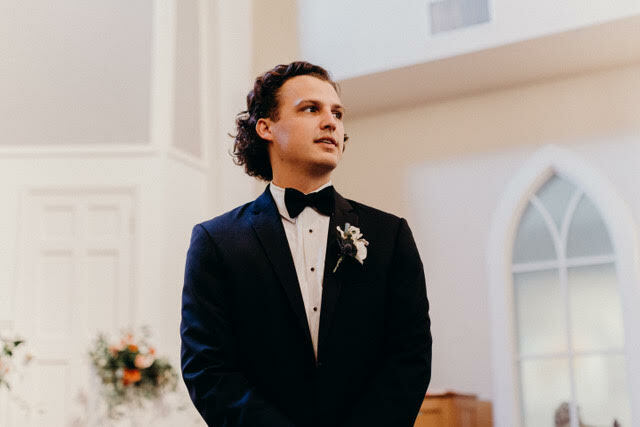 We prayed a lot throughout college and after that the Lord would give us the right timing for every part of our relationship, so we are so thankful for His goodness!" Caitlin is such a gem. 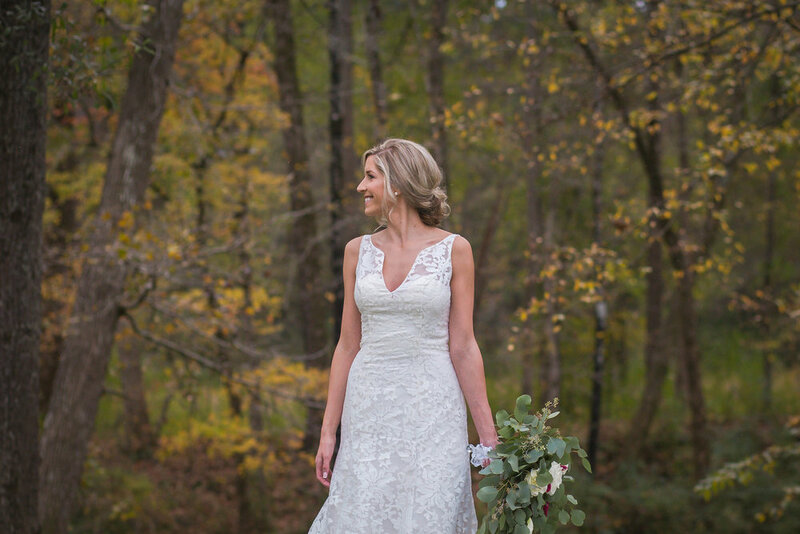 She has the kindest smile and heart to match, and we so loved helping her find the perfect gown! She looked nothing short of gorgeous in her mermaid alencon and corded chantilly lace gown by Enzoani! 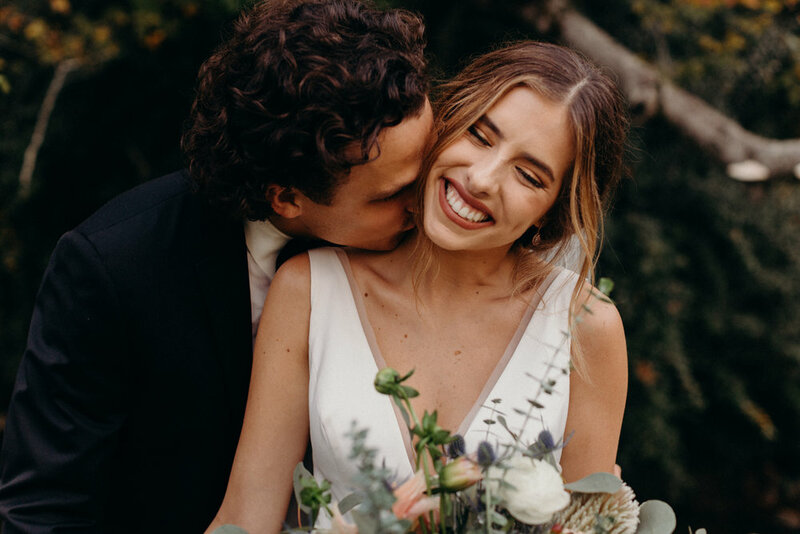 We're over the moon to introduce Lauren Hanna Nilsen as our newest Bustle Bride! 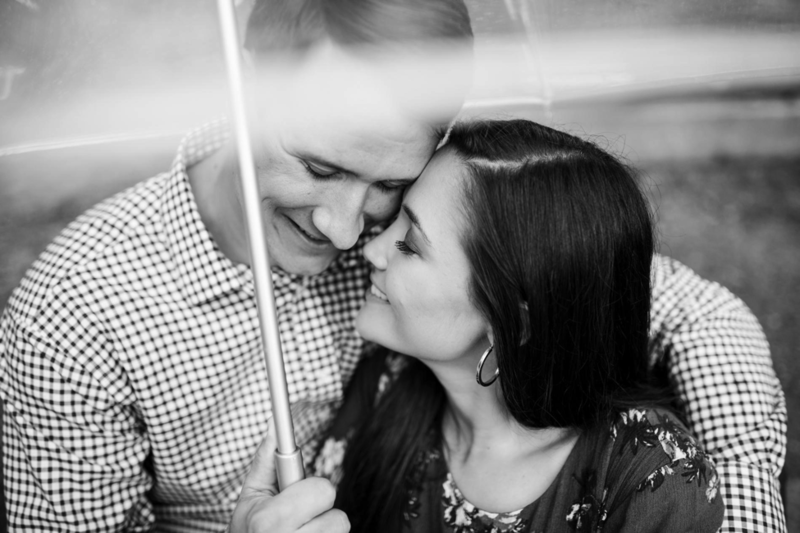 Lauren and her husband Jonathan met at Ashley Mac's in Birmingham where they both work, so they have Andy and Ashley McMakin for being their matchmakers! 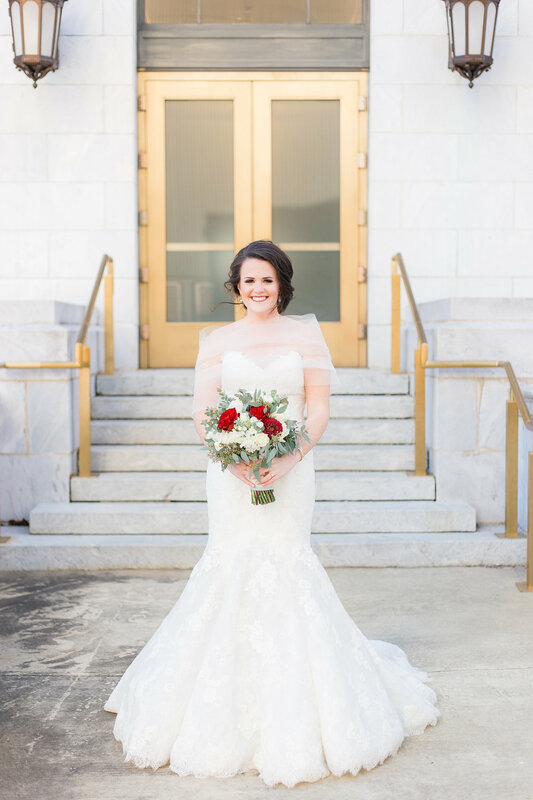 The pair tied the knot on January 7th, and Lauren was an absolute dream in her Anne Barge fit & flare lace gown! She also added a stunning crystal belt and beautiful catherdral length veil to complete her look, and we're so glad we had the opportunity to help her wedding gown vision become a reality! 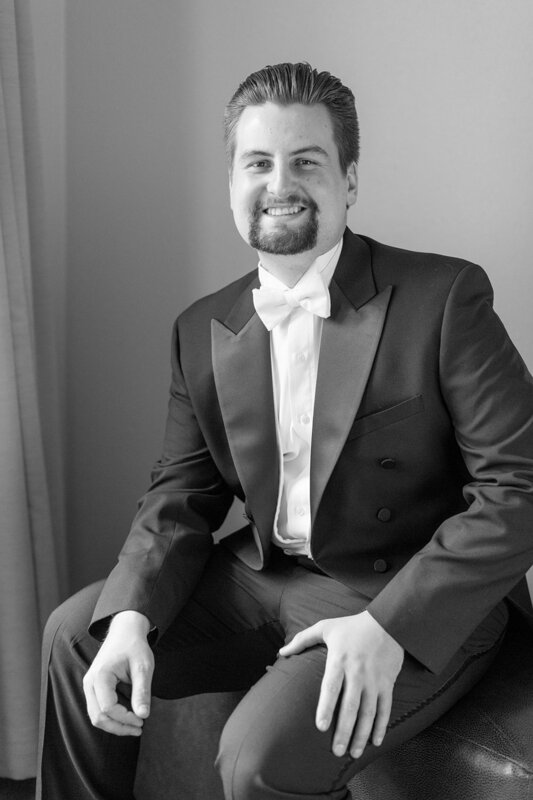 We're thrilled to feature Cory Grabany Townsend as the newest addition of Bustle Brides. 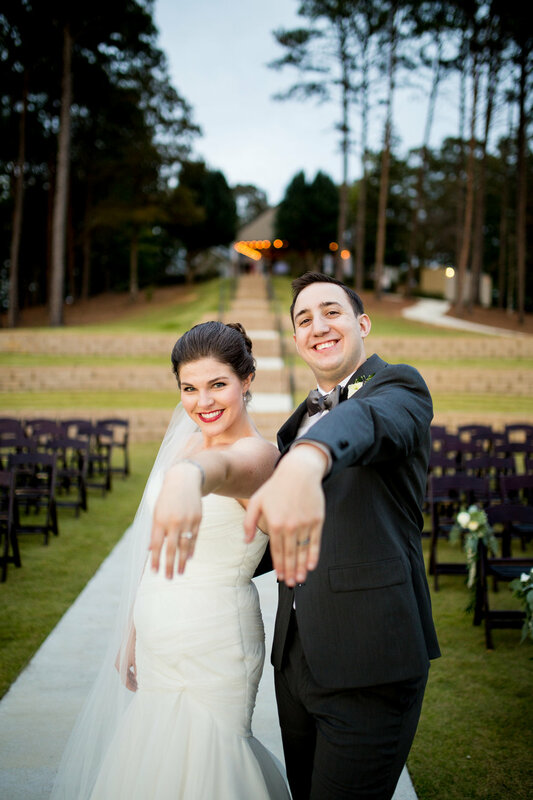 Cory and her hubby, Caleb, began their happily ever after on November 18 at Creekside Meadows. "Caleb and I met almost 5 years ago through a mutual friend. We both worked in fitness at the time, so I knew it was meant to be. 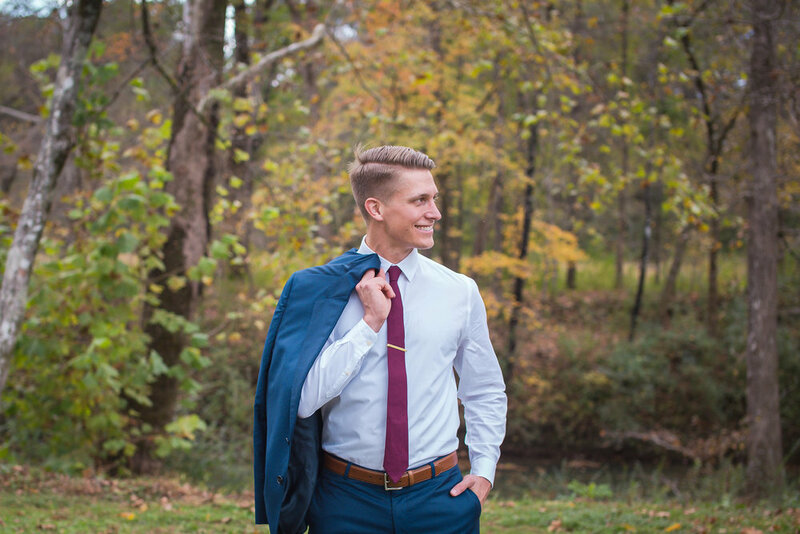 After a year of dating he moved to North Carolina for a job opportunity. Long distance wasn’t ideal but we made it work. After 2 long years we both decided it was time to move back to Birmingham or cut ties. Long distance was definitely hard but I knew whatever we decided it was God’s plan. 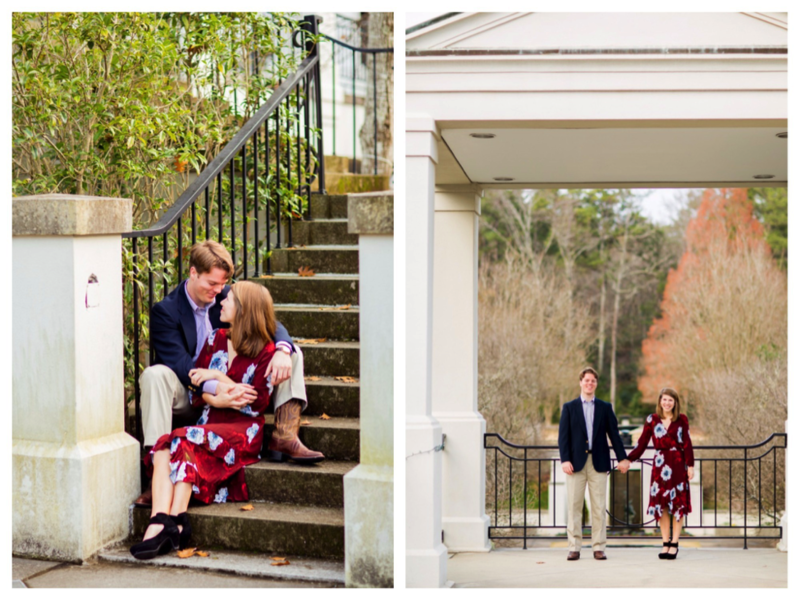 Caleb moved back to Birmingham on October 27, 2016 and on November 25 we were engaged. I felt like I had waited forever to hear those 4 words, but in that moment I knew it was perfect timing." 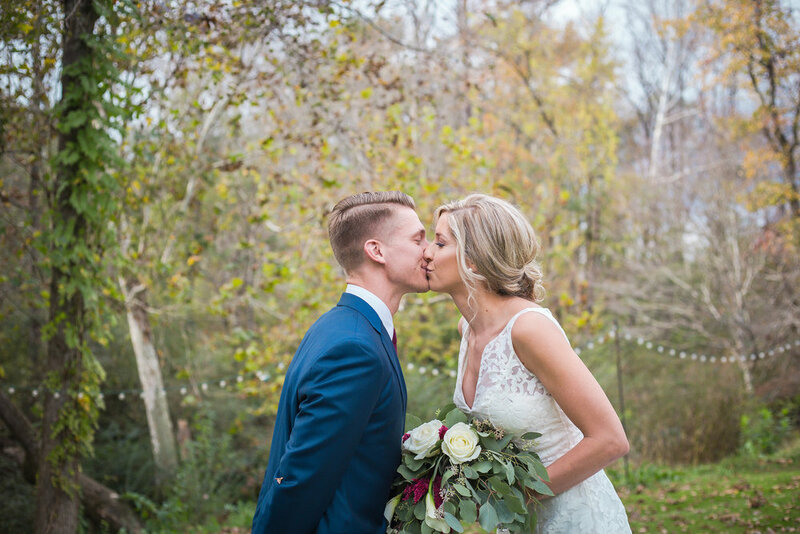 Cory was an absolute dream on her special day in her Ivy & Aster fit and flare gown! Cory was such a joy to have in the store, and we so loved the chance to help her find the perfect dress! 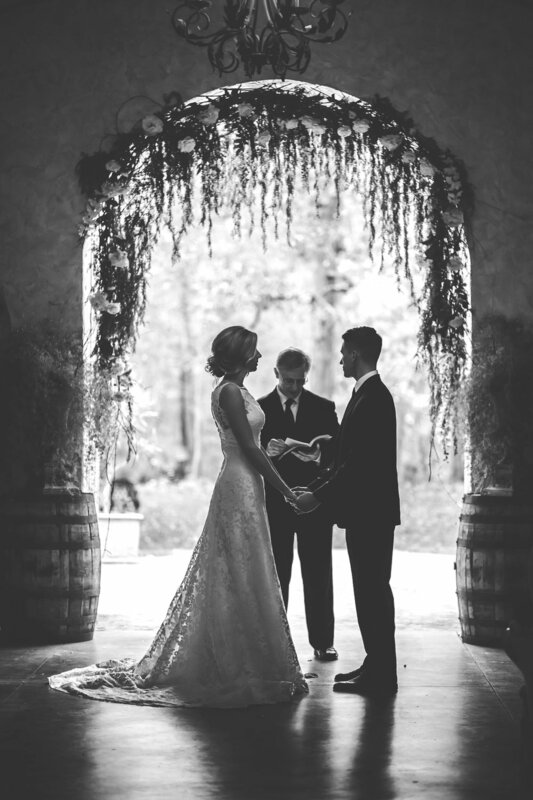 We're so excited to feature the beautiful Natalie Jett Jones as our newest Bustle Bride! 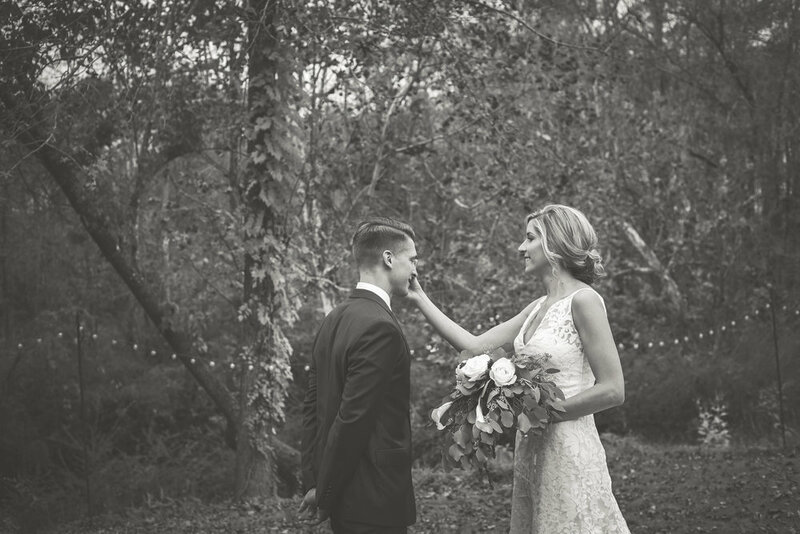 Natalie and her husband, Brandon, became officially husband and wife on October 28, 2017. The newlyweds met in Birmingham and it's all thanks to some mutual friends! Natalie was in the process of moving to Atlanta the week after they met, so she wasn't expecting it to go anywhere. But as fate would have it, they spent every night together the following week, and one thing led to another and Brandon moved to Georgia as well! Natalie said, "I do," in a fabulous fit & flare crepe gown with a stunning lace illusion back by Theia! 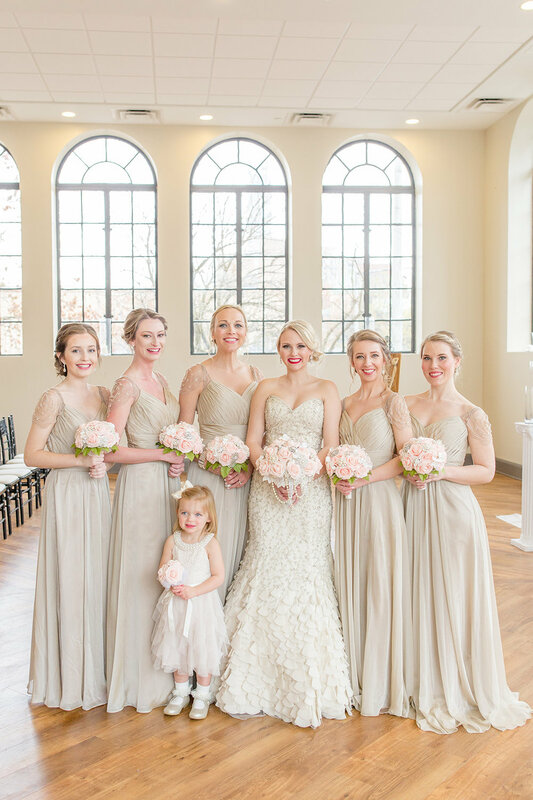 She was an absolute dream on her special day, and we so loved helping her find the gown of her dreams! 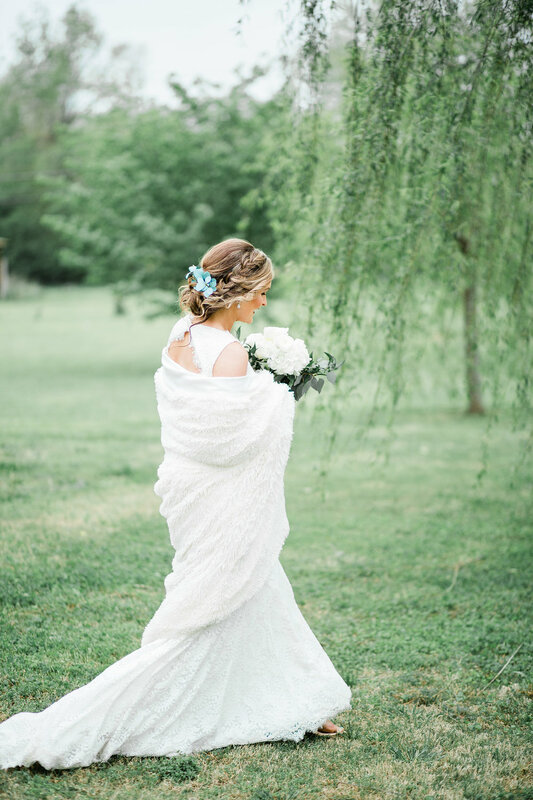 Our Bustle Bride feature for the week is the beautiful Mary-Alyx Campbell Robbins! Mary-Alyx and her hubby Benjamin became officially husband and wife on November 4th, 2017. 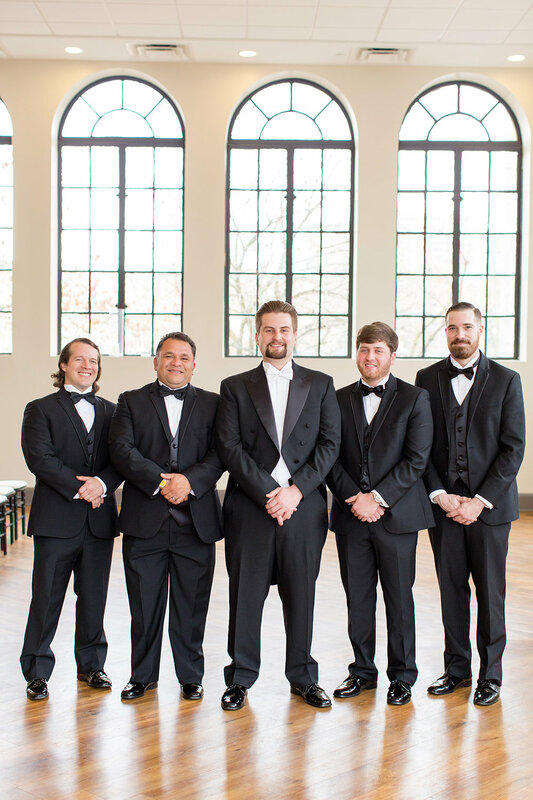 The two decided to have a small, intimate wedding with close friends and family at Mary-Alyx's church, Altadena Valley Presbyterian Church in Vestavia Hills, AL. 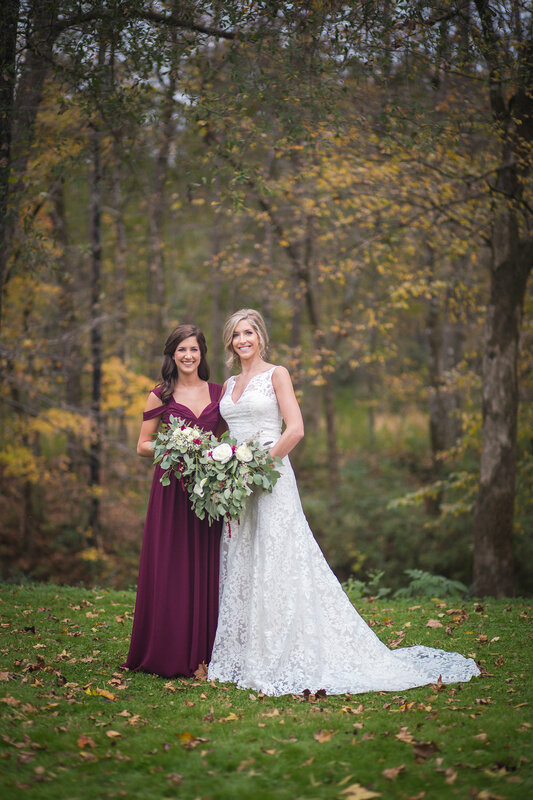 She explains that the small white church is "beautiful in the fall against the colorful leaves," and the photos from her big day definitely show it! "My husband and I met through a mutual friend! I went to Mississippi State University, and he went to Mississippi College. My roommate transferred from Mississippi College to Mississippi State. 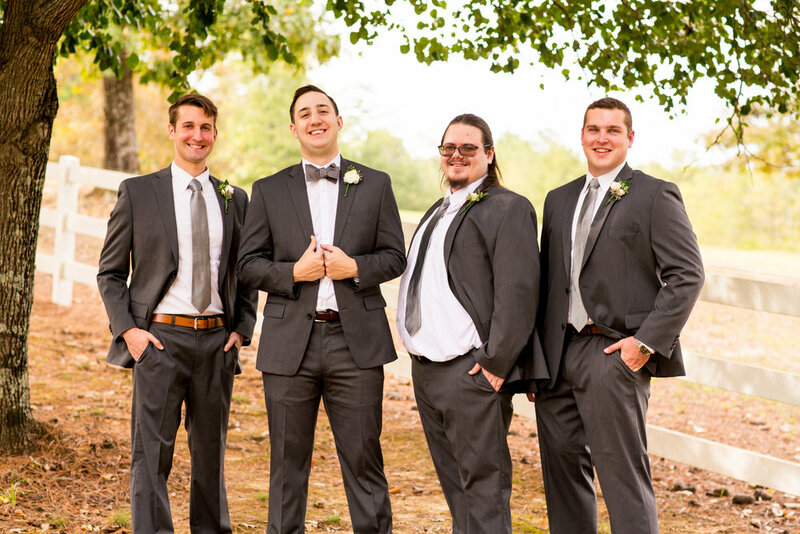 She was friends with Ben and introduced me to him one weekend in Starkville, MS. We knew instantly that we had a huge connection. He proposed to me on February 4th, 2017 at the Garage Cafe in Birmingham," and the sweet couple said "I do" nine months later! Mary-Alyx was an absolute show stopper in her drop waist Anne Barge gown with multi-layered skirt! 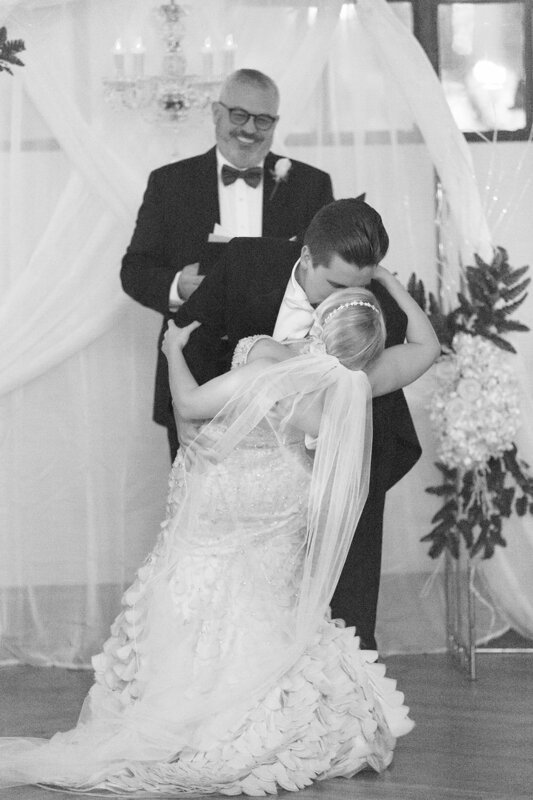 We're so glad we had the chance to help her find the gown of her dreams! We're over the moon about our Bustle bride feature for this week! 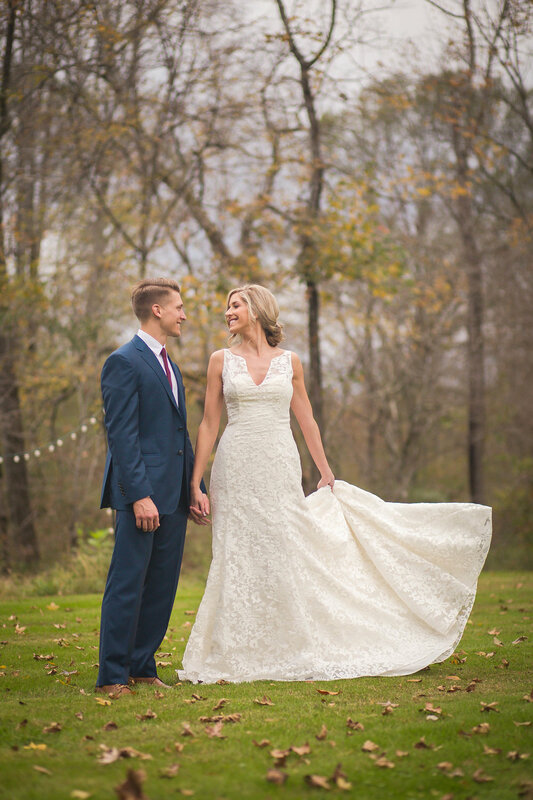 Megan Walker Holcombe and her husband Tate tied the knot on October 21 at the beautiful Windgate Farms! 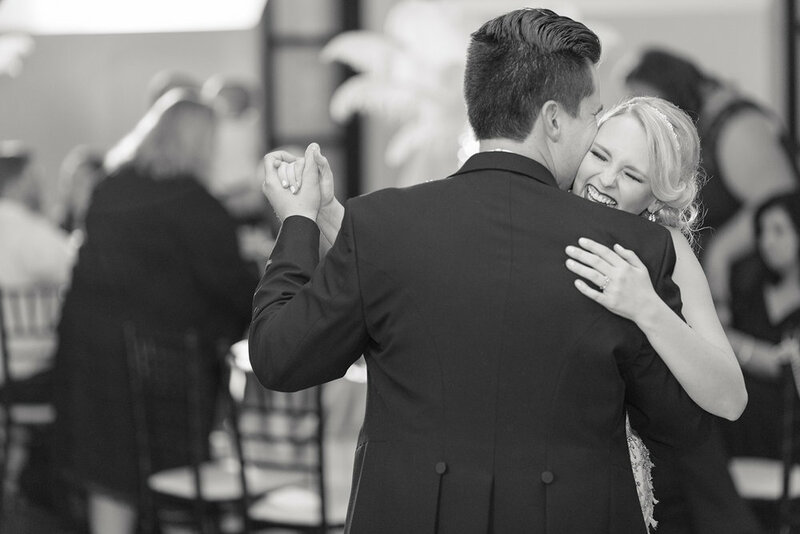 Megan and Tate met in college at a banquet. The pair struck up a conversation, and the rest is history! There were a lot of special personalized touches that were incorporated on their special day! 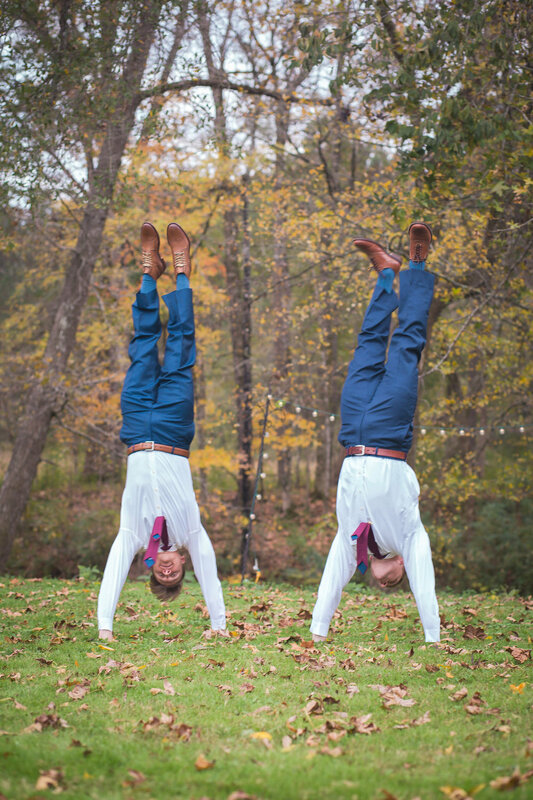 "So much of our wedding was handmade! The paper goods, desserts, and even many of the decor items. My mom painted pumpkins with chalk paint so everything was exactly how we dreamed it would be. Tate's grandparents made the drawers that the desserts were served on. 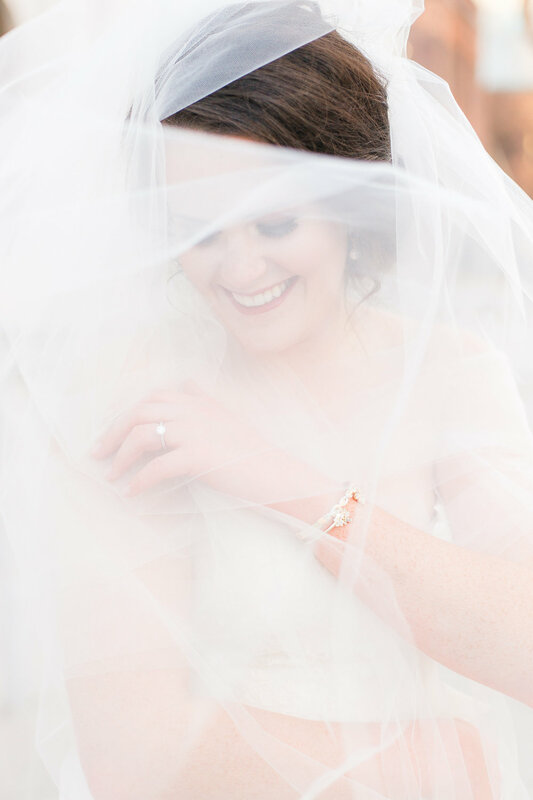 We also incorporated many heirloom/antique pieces into our special day -- the brooch pinned onto my bouquet belonged to Tate's great-grandmother, who passed earlier this year, and the bracelet I wore belonged to my late grandmother. My mother carried the wedding Bible that has been in every wedding in my family for the past 3 generations," Megan explained. Megan has the best smile and the sweetest spirit to match! 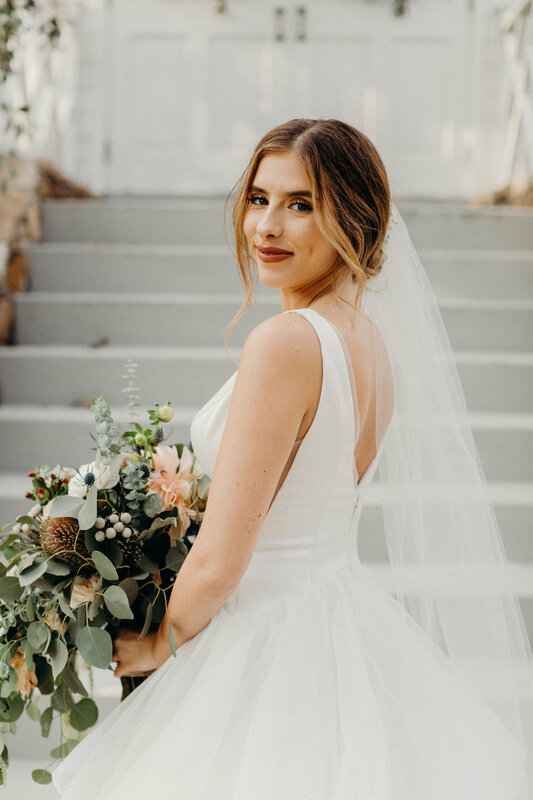 She was absolutely stunning in her Anne Barge fit and flare tulle gown, and we're so glad she found her dream gown at Bustle! 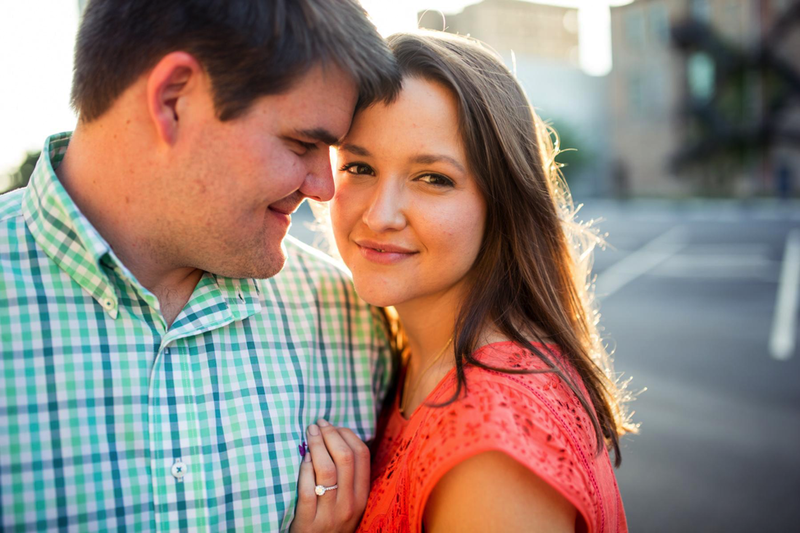 Our newest addition to the Bustle Bride is Margaret Rawls Barringer! She and her hubby Trey began their happily ever after on September 23rd, but the love story began about 2 and a half years sooner. The pair met playing intramural kickball through Birmingham GoKickball. Their team captain was a mutual friend of both Margaret and Trey, and she made the match. The couple began dating in April 2015. "Trey and I make a great team on and off the field," expressed Margaret. 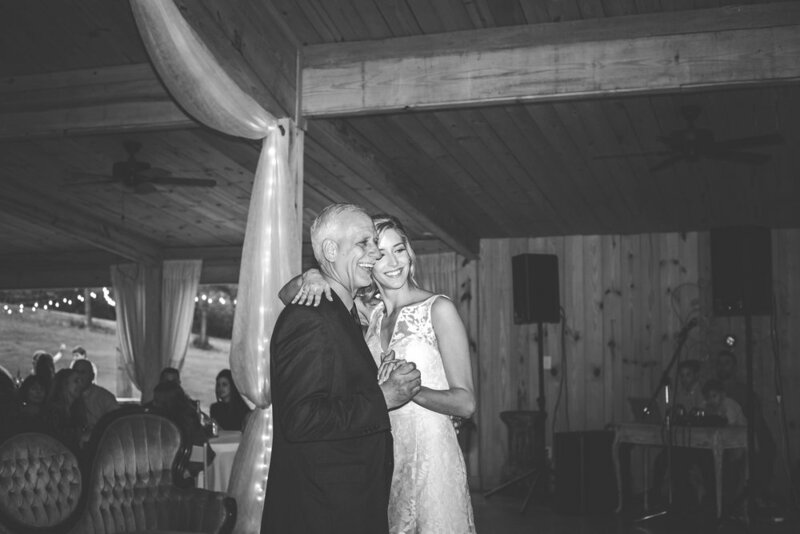 Margaret was an absolute dream in her Tadashi Shoji lace gown which she paired beautifully with a raw edge fingertip veil! Marrying the best man on earth, duh.